...pivo. When I am in Prague, that is. Where pivo is cheaper than anything else you'll find on the menu. Where pivo has the highest per capita consumption in the world. America's 20 gallons/pp pales in comparison to the Czech Repubic's 40 gallons/pp. Burp! 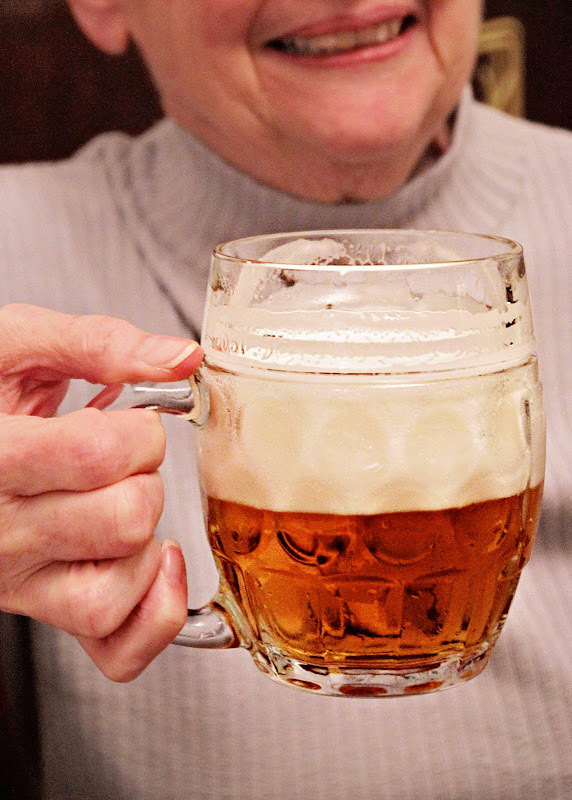 How to order a pivo in Prague? 1. Find a pub. It would be harder to NOT find a pub in Prague. "99 Bottles of Pivo on the Wall"
2. Upon entering pub, notice the sign hanging on the door. It will be a beer company sign, and it means this is the beer served in the pub. FYI, it's unlikely there will be any other brands available. This isn't your American bar with an infinity and beyond number of microbrews on tap! I asked our cab driver which beer I HAD to try while in Prague. Pilsner Urquell. I admit, I swore he said "It's our welcome". I just nodded because who wants to look like a stupid American? 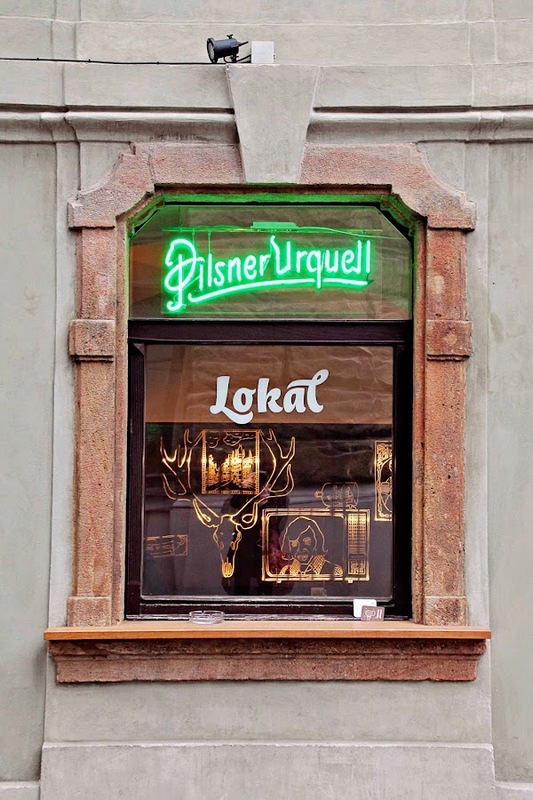 I came to learn Pilsner Urquell is Czech's best known beer, brewed in the town of Plzen. AND...that the cab driver probably thought I was a stupid American. And yes, you pay the same regardless of head size. The Better Half was gob-smacked when I told him this. As they say, when in Rome Prague! 3. "Pivo, prosim". Ask for more...because it's cheap after all! And don't forget to say "please". A little attempt at Czech goes a long way. At least you'll make your waiter laugh at the stupid American. And then they forget to mark down one of your pivos. A tab will be started on a scrap of paper at your table. Don't doodle on it, don't tear it, don't stash it in your purse as a souvenir...not that I tried that...maybe? 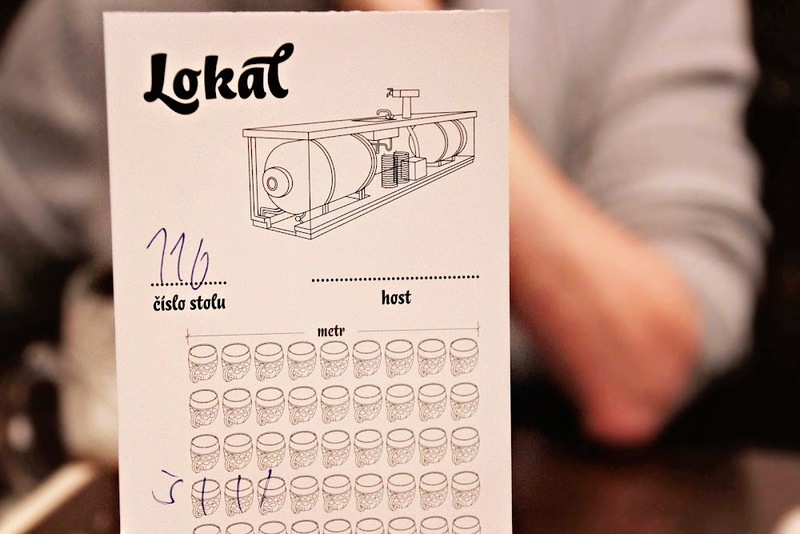 When it comes time to pay, your waiter will tabulate your listek (scrap paper). Cause I have to tell ya. I am NOT a beer kinda gal. I will drink it on occasion, but it's not usually my first choice. BUT...in Prague? Pivo is a horse hops of a different color! Brewed naturally from hand picked hops, unpasteurized, ultra fresh state, naturally carbonated. This ain't your American brewski fer sure. It's Pivo. Na zdravi (nah zdra-vee) - to your health. Did you have the garlic soup with your pivo? The most delicious!! I also don't drink beer, but I did try some "Kölsch" on our trip to Cologne, Germany. It's part of the experience. Just like you did in Prague. Well, I learned a thing or two today! Way cool. After all the drama of moving the youngster back into his dorm (changed rooms) my husband looked over at me and said "I need a drink! "; me: "if you're talking beer, I'd just as lick the floor and call it a day." Him: "now that you mention it, a diet coke sounds pretty good." We are not drinkers at all - even after all the drama the kids lay on our plate. It does look like you all had a fabulous time. This is my kind of lesson! Like you, I would want to take in the local culture, including the beer! Bottoms up. Enjoyed learning about pivo. I'm not a big beer drinker, either, but I don't know a lot about beer either. So i would definitely have to try the Pivo! So glad to have this info! 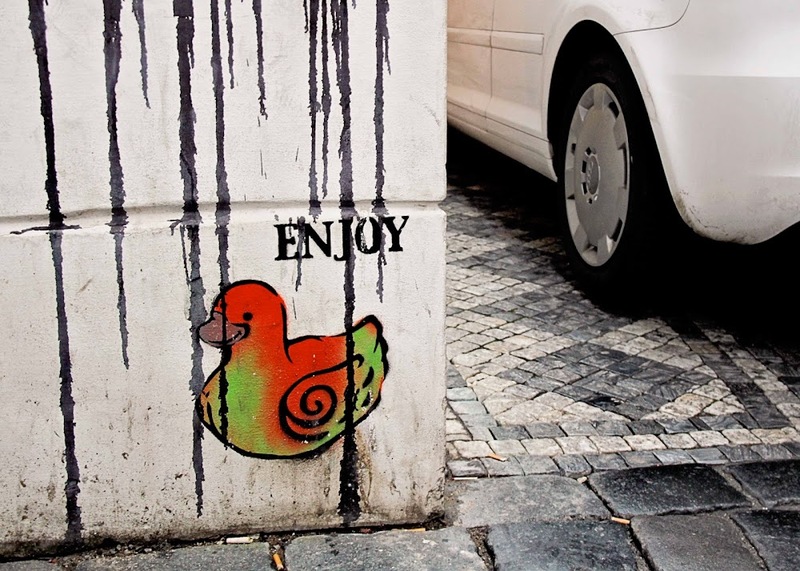 Looks to me as if you had a great trip! I do enjoy a beer from time to time, so this looks like fun! The beer scorecard is a hoot! I too am not a beer fan unless it is the lime-arita or straberita one of the companies puts out. Those i like. Looks like you had a lot of fun! Lovely beer in Prague. I'm thirsty! 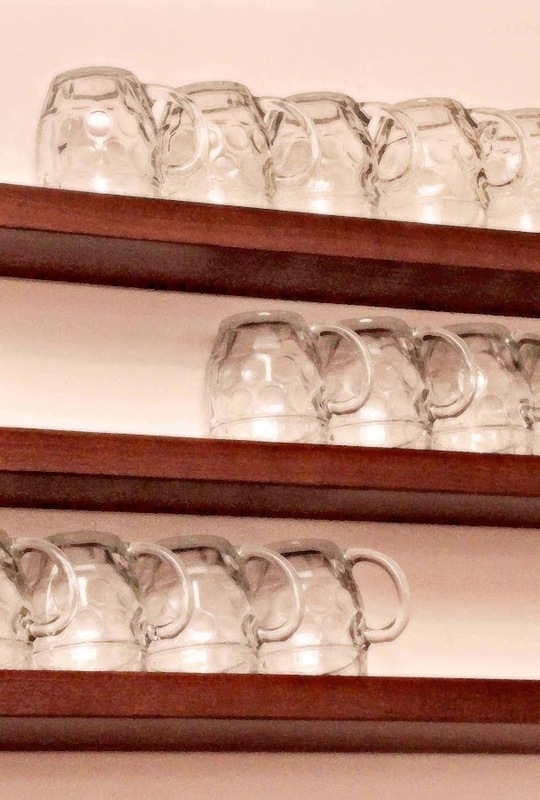 An interesting journey through the beer world of Prague. Very interesting. I would be ordering the least amount of head.